How do components play a role in your work as a framer? As the go-to crew for assembling homes and commercial structures, why not save time, frame more projects, and do less work by using building components? 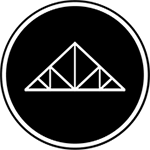 Components offer framers the opportunity to merely set the building components in place, no longer requiring the need to cut and assemble floors, walls, and roofs in the field. Using building components better ensures framers leave the jobsite each day just as they arrived. Consider joining the National Framers Council (NFC) which was established to educate framers, general contractors, developers, insurance carriers and other industry professionals about the challenges and the liabilities faced by framers every day. Visit Framerscouncil.org for more information. You can build a multi-story home with no bearing walls. It’s been done for decades. The most amazing thing about how to do it is one just uses regular 2x4s to solve the problem! Framing the American Dream data suggests that installing roof trusses completes the task of framing a building’s roof in less time, allowing the same framing crew to complete more roof projects over time. Framing the American Dream data suggests that installing wall panels completes the task of framing a building’s walls in a fifth the time, requires less skill and experience and ultimately allows framing crews to complete more wall projects over time. 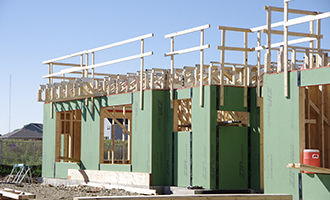 Framing the American Dream data suggests that installing floor trusses completes the task of framing a building’s floor system in almost half the time, requires less framer skill and experience and ultimately results in a product that is more reliable. This video was published online by the La Crosse Tribune. In it, a framing crew is installing long-span wood trusses on the main roof portion of an addition to the Menards store in La Crosse, Wisconsin. What is noteworthy is the way the crew is using scissor lifts to provide stable platforms from which installers can work to install bracing. NFC was established to educate framers, general contractors, developers, insurance carriers and other industry professionals about the challenges and the liabilities faced by framers every day.